Now playing on Broadway in New York City : Hairspray, I'm Not Rappaport, Into The Woods, Les Miserables, Lion King, Major Barbara, Mamma Mia!, Metamorphoses, Morning's at 7 and Mostly Sondheim! Booth Theatre, 222 West 45th Street between Broadway and 8th Avenue; 212-239-6200; $60-$75; Tue-Sat 8 PM; Wed, Sat 2 PM; Sun 3 PM; This 1985 play by Herb Gardner features Judd Hirsch and Ben Vereen. It is directed by Daniel Sullivan. Also featuring Anthony Arkin, Mimi Lieber, Steven Boyer, Jeb Brown, and Tanya Clarke. Hirsch was in the original production of this play about 2 sentimental old men in the park. Neil Simon Theatre, 250 West 52nd Street between Broadway and 8th Avenue; 212-307-4100; Hairspray is a new musical based on the New Line Cinema film (1988) written and directed by John Waters. The book is by Mark O'Donnell and Thomas Meehan. Music by Marc Shaiman. Lyrics by Scott Whitman and Marc Shaiman. Marissa Jaret Winokur and Harvey Fierstein star in Hairspray which is choreographed by Jerry Mitchell ("The Full Monty"). It is under the direction of Jack O'Brien ("The Full Monty") and the costumes are by William Ivey Long. Broadhurst Theatre, 235 W. 44th St. Between Broadway and 8th Avenue; 212-239-6200; $40-$99; Tue-Sat 8 PM; Wed, Sat 2 PM; Sun 3 PM; Director James Lapine; Music & Lyrics Stephen Sondheim; Choreographer John Carrafa; "Into The Woods" is an original story of a Baker and his Wife who attempt to have a child and reverse the curse on their family. It is a blend of five Grimms' fairy tales. Features stories such as "Cinderella", "Rapunzel", "Little Red Riding Hood", and "Jack, The Giant Killer". Features Vanessa Williams as "The Witch", John McMartin as "Narrator/Mysterious Man", Laura Benanti as "Cinderella", and Gregg Edelman as "Cinderella's Prince". The musical "Into The Woods" originally opened at the Martin Beck Theatre on November 5th 1987. 2002 Tony Award : Best Revival of a Musical, 2002 Tony Award : Best Lighting Design (Brian MacDevitt). Imperial Theater, 249 W. 45th St. between Broadway & 8th Ave. 239-6200. $20-$90. Mon-Sat 8 PM; Wed, Sat 2 PM; 3 Hours. One intermission. Geffen cast album. Musical adaptation of Victor Hugo novel about persecuted Jean Valjean. J. Mark McVey is current Valjean, Javert is Philip Hernandez & Fantine is played by Jacquelyn Piro. New Amsterdam Theatre, 214 W. 42nd. St. Between 7th and 8th Ave. (212-307-4747). $30-$100. Wintertime schedule: Wed-Sat 8 PM; Wed, Sat 2 PM; Sun 1 and 6:30 PM. Summertime schedule, Memorial Day to Labor Day: Tue-Sat 8 PM; Wed, Sat 2 PM; Sun 3 PM; 2 hrs. 45 min. One intermission. Director Julie Taymor. Disney's new theater. Adaptation from animated screen. Cast of 46 sings the Elton John - Tim Rice score. Simba the lion cub destined to become king. Garth Fagan - Choreographer. Winter Garden Theatre, 1634 Broadway at 50th Street. 212-239-6200; or, 212-563-5544; or, 800-432-7250. $55.00-$98.75. Mon-Sat 8 PM; Wed, Sat 2 PM; Mamma Mia opened at London's Prince Edward Theatre in April, 1999 and was a fantastic hit that has broken every known British box office record and continues to sell out. The group ABBA has sold over 350 million records worldwide. Mamma Mia includes the hit "Money, Money, Money". Featuring Louise Pitre as Donna Sheridan, a single mother running a tavern on a fictional Greek island. Her friends, Rosie and Tanya are played by Judy Kaye and Karen Mason. They will all get together for the wedding of Donna's daughter, Sophie played by Tina Maddigan. Tina and Louise are making their Broadway debuts. Also featuring, Joe Machota, David Keeley, Ken Marks, Dean Nolen, Tonya Doran, Sara Inbar, Mark Price, and Michael B. Washington. A musical love story based on the music of ABBA. Produced by Judy Craymer, Richard East & Bjorn Ulvaeus for Littlestar in association with Universal. Music-Lyrics by Benny Andersson and Bjorn Ulvaeus. Playwright Catherine Johnson. Director Phyllida Lloyd. Choreographer Anthony Van Laast. Circle in the Square Theatre, 1633 Broadway at 50th Street. 212-239-6200; $30-$75; Tue-Sat 8 PM; Wed, Sat 2 PM; Sun 3 PM; This play by Mary Zimmerman, director, transforms the stage into a 30 foot wide pool of water in which classic Roman myths come to life. King Midas, Narcissus and his reflection, Orpheus, and Euridice. With Anjali Bhimani, Raymond Fox, Kyle Hall, Doug Hara, Felicity Jones, Chris Kipiniak, Louise Lamson, Erik Lochtefeld, Mariann Mayberry and Lisa Tejero. Original Music by Willy Schwarz. 2002 Tony Award : Best Direction of a Play (Mary Zimmerman). Lincoln Center Theater at the Lyceum, 149 West 45th Street between Sixth and Seventh Avenue; 212-239-6200; $40-$65. Tue-Sat 8 PM; Wed, Sat 2 PM; Sun 3 PM; This revival of the 1939 play by Paul Osborn features Elizabeth Franz, Julie Hagerty, Buck Henry, Piper Laurie, Christopher Lloyd, William Biff McGuire, Estelle Parsons, Frances Sternhagen and Stephen Tobolowsky. "Morning's At Seven" is directed by Daniel Sullivan. 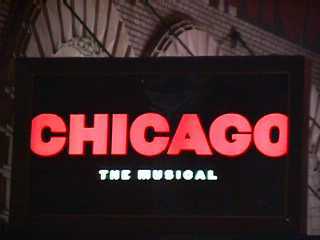 It originally premiered at the Longacre on November 30th, 1939, and again at the Lyceum on April 10th 1980. Lincoln Center's Vivian Beaumont Theatre, Broadway at 64th Street; 212-239-6200; $40-$60; Sun, Mon 7:30 PM; A return engagement; Barbara cook sings an evening of Sondheim; Some songs by Irving Berlin, and Cy Coleman; Wally Harper on piano; John Burr on bass. Originally opened on January 14th 2002 - February 11th 2002.